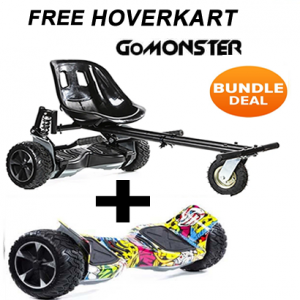 Bundle Price – £239.99 – we are giving away a Free Racer Hoverkart with every 6.5 Hummer Hoverboard purchased – offer ended. 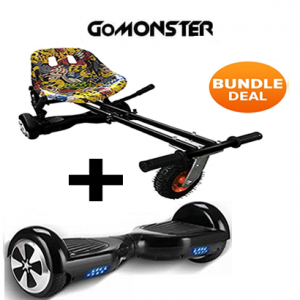 The 6.5 Hummer Hoverboard comes with Tough wearing all surface tyres and powerful twin motors that will power your board up through all your adventures. The Samsung Long life battery fully recharges in 2 hours and lasts for 15-20 km of ride time. 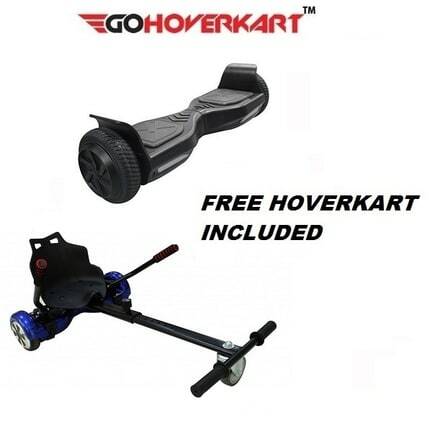 We will give you a free Racer Hoverkart frame which comes with a racing bucket seat that converts your Hoverkart into a Go-Kart in mins which means you can sit down and race as well. 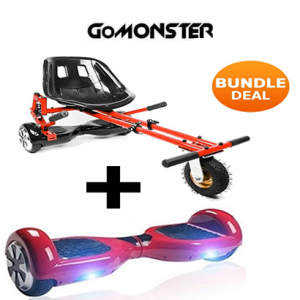 Assurance you are purchasing from the UK’s largest Hoverboard shop. 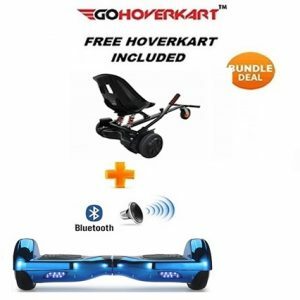 The 6.5 Hummer Hoverboard is the latest 2018 Hoverboard to be launched. 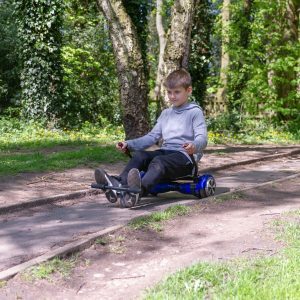 Coming with a Tough outer case and off-road tyres giving you a better ride experience when you tackle the road, grass verge or gravel drive. 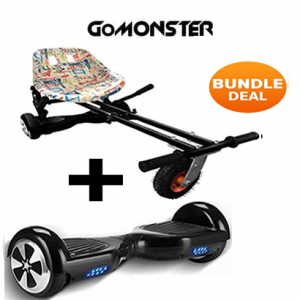 The tough outer shell gives you added protection when you’re maxing out the board. 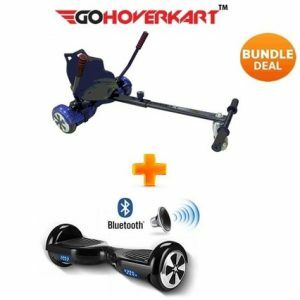 With the FREE Racer Hoverkart you can add a twist to your Hoverboarding experience, by quickly converting your Hoverboard into a Go-Kart. 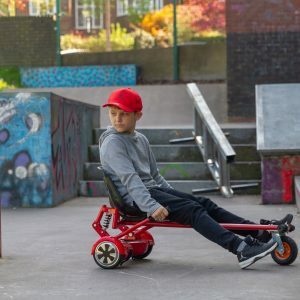 In minutes you can attach the Hoverkart Frame which comes with a sports racing bucket seat and you now have a mean racing machine you can hours of fun on. 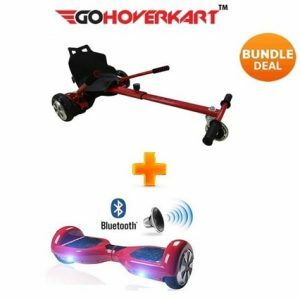 1x Hoverboard soft carry case. Built-in Genuine Samsung Battery with Overcharge Protection Circuit. 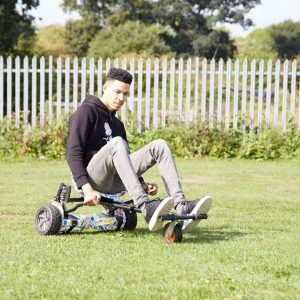 All of our hoverboards are built with the highest quality electrical components built to last and come with a genuine Samsung long-life lithium-ion battery, so you can be rest assured that you’ll have a completely UK safe tested and approved board which is designed to last for years. 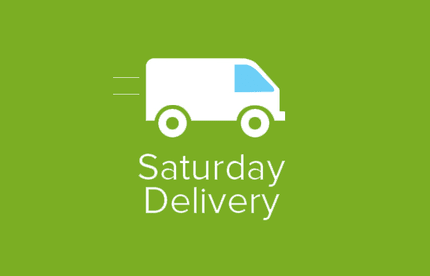 We ensure that every board which leaves our distribution centre is internally checked before delivery so you don’t have to worry about a thing.